Today in my blog series exploring, The Gut Microbiome and What It Means for Your Health, I’ll be geeking out on the intestinal lining. If that interests you, stay here with me. If you want to cut straight to the chase, view my blog on to How To Support Your Microbiome. 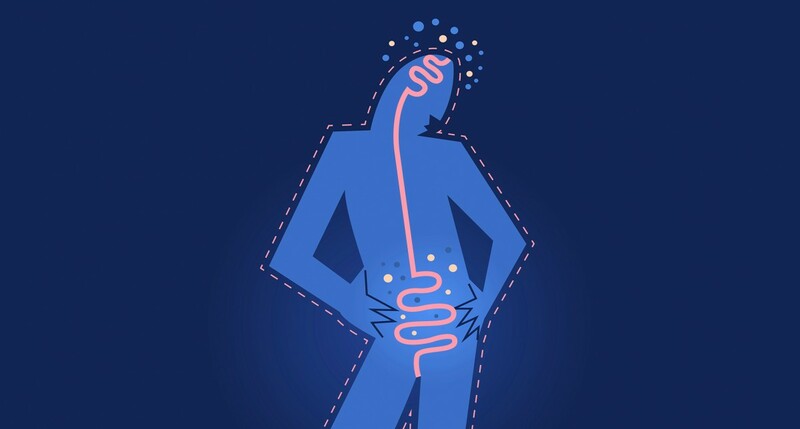 And if you missed the first blog in my series, take a moment to read about, What is the gut microbiome and why should you care? What happens when the balance of flora goes awry? Gut Associated Lymphoid Tissue (GALT) is a component of the very thin mucosal lining of the intestine that comprises 70% of the immune system. The effects of the intestinal GALT go beyond the intestines and into the rest of the body. Bacterial components can be captured by mucosal dendritic cells and transported to the mesenteric lymph nodes where they can trigger local protective immune responses and affect immunity at a systemic level. The microbiota of the GI tract perform digestive functions such as breaking down complex carbohydrates, producing short chain fatty acids, and synthesizing vitamins. In addition, the GI tract microbiota protect the host directly by preventing the attachment of pathogenic bacteria through colonization resistance, outcompeting pathogens for nutrients, and maintaining appropriate intestinal pH. This is one of the mechanisms of the development of autoimmune disease. The role of the microbiome and the connection between inflammatory conditions and dysbiosis is a growing field of study. Dysbiosis is an imbalance of the intestinal flora of the intestines. Researchers have categorized five types of dysbiosis. Insufficient good bacteria is a deficiency of intestinal flora. Small intestinal bacterial overgrowth (SIBO) occurs when bacteria from the colon grows in the small intestine. Immunosuppressive dysbiosis occurs when bacteria, yeast, or parasites lower levels of beneficial bacteria and produce toxins that damage the lining of the intestines. Inflammatory dysbiosis happens when the body has an exaggerated response to an imbalance of flora and includes muscle and joint paint as well as digestive symptoms. Parasites can also be considered a type of dysbiosis in which the digestive tract becomes infected and the beneficial bacteria are impaired. Dysbiosis can contribute to the development of autoimmune disease by directly causing the immune system to malfunction or by provoking the development of intestinal permeability. Intestinal permeability (leaky gut syndrome) occurs when the mucus barrier on the epithelial cells that line the intestines is compromised and food particles and bacteria leak into the bloodstream. The molecule zonulin has been identified as an integral modulator of the barrier structure of the cell junctions. Elevated zonulin levels and intestinal permeability have been associated with Crohn’s disease, type 1 diabetes, multiple sclerosis, asthma, glioma, and inflammatory bowel disease. Commensal bacteria have been show to provide protective, structural, and metabolic effects on the intestinal mucosal lining. The protective functions include pathogen replacement, nutrient competition, receptor competition, and the production of anti-microbial factors. Structural functions include barrier fortification, induction of IgA, tightening of cell functions, and immune system development through an increase in Peyers patch follicles. Many of the structural functions are important for the development of GALT. Metabolic functions of the intestinal microbiome include control of epithelial cell differentiation and proliferation, metabolism of dietary carcinogens, synthesis of vitamins, and fermentation of non-digestible dietary residue and epithelial-derived mucus. The role that stress can play within the interplay of microbiota and epithelial tissue is another topic of study that is applicable to theories of stress contributing to the development of autoimmune disease, both in allopathic and Chinese medicine. The presence of bidirectional signaling between the gastrointestinal tract and the brain exists at neural, hormonal, and immunological levels. The importance of the scale and diversity of gut microbiota has been established and the regulatory function of the brain-gut-enteric microbiota axis can affect mood, behavior, and physiology. Gut microbiota in combination with a high-fiber diet affects the presence of short-chain fatty acids, the metabolic byproduct of fermentation of non-digestible carbohydrates by intestinal microbiota. Low fiber diets increase mucus-degrading bacteria after which thinner mucus and compromised intestinal barrier function lead to a higher susceptibility to certain colitis-causing pathogens. Stay tuned for the next blog in my series on the gut microbiome where I address, Traditional Chinese Medicine and the Microbiome.